Hillary Clinton has been deemed a sure bet for the White House, as it’s widely speculated the inflammatory Donald Trump and socialist-leaning Bernie Sanders stray too far from establishment politics to be truly electable. But it wasn’t until an examination using Wikileaks searchable archive of Clinton’s emails that the establishment’s love of the Democratic warhawk became truly apparent. 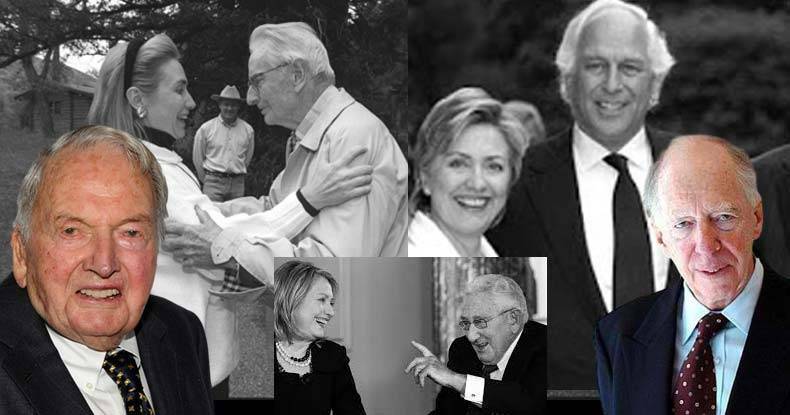 Buried in thousands of the former Secretary of State’s emails sent via her personal server, are intimations of her close relationship with the infamous Rothschild banking family and hints for a potential Rockefeller-State partnership. Though none of the emails The Free Thought Project examined appeared overtly damning — thanks, in part, to sometimes heavy redaction — the evidence of Clinton’s comfort with the establishment lends credence to theories of her being the ‘chosen’ candidate. Numerous emails evidence Hillary’s staff carefully monitoring — and even manipulating — mainstream news outlets as well. Lynn F. de Rothschild told Hillary in August 2009 about a fluff piece journalist Les Gelb was eager to pen for Parade Magazine. Other emails show an almost paranoid eye Clinton kept trained on the Tea Party and its journalists and mouthpieces. To reiterate, nothing particularly damning in itself was found in this admittedly cursory search — but the relationships these emails document, alone, evidence Hillary’s concrete establishment roots. While Trump infuriates the GOP and Sanders’ popular support lacks translation into delegate votes, perhaps these documents support the popular theory Hillary Clinton will be the next president — no matter what.